Did you know that a SEO Company could make the difference between your small business strugling to survive or dominating your market? Most business owners have never even heard of SEO or Search Engine Optimization, let alone the benefits that it could bring to effectively marketing their small buisness. Lets face it advertising your business in the local phone book has gone the way of the dinosaurs! Todays customers have smart phones where any business is at the tip of their fingers. Which makes having a good mobile friendly website that converts these internet surfers into paying customers. However it is not good enough to just throw up a website and expect your business to explode over night. Fact is your website need to be at the top of the search results on page 1 to even get seen. Just think about it for a minute. When you do an internet search how often do you click on one of the first listings that appear? How about clicking on to page 2 or 3? If you are like most people hardly ever. So if your website is on one of these back pages it might as well be an expensive listing in the phone book! So how do you get your business website to the top of the search results? 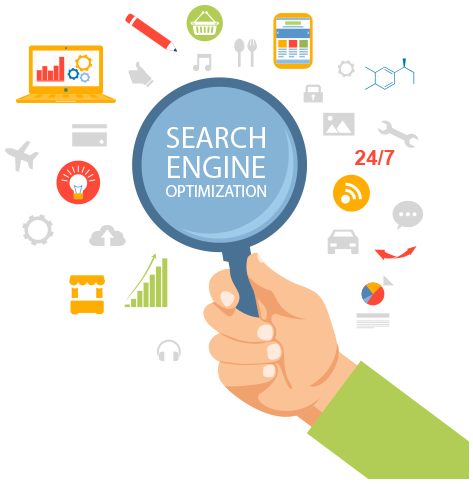 It’s easy you hire a reputable SEO Agency that will come in and modify your website and your online presence giving your website everything it needs to send the right signals to the search engines. Telling them hey look at me I am the best website for this particular search. Seo is the future of online business. Some of your competitors are probably already using these online miracle workers, and the business owner that takes advantage of this marketing tool will be the one that prospers and dominates their market in the up coming years. At lunch the other day I was talking with a group of people and I realized how many people either dont know they are business owners, want to start a business but dont know how, or dont really know what being a business owner means. Here a couple of examples of people who during the course of the discuss discovered that not only were they business owners but that they had been missing out on the benefits of business ownership such as tax deductions and credits. Do you own rental property? As a rental property owner you ARE a business. Depending on the city you live in they may even want you to get a business license for your rental company. But did you know that all of the expenses of your rental house are business deductions? Need to replace a water heater, a roof, or a garage door? Dont forget to claim the cost of it on your taxes as well as the cost of property tax and so much more. Do you do odd job such as lawn mowing? If you are a teenage earning money to go to the movies this weekend then you dont need to think of pushing the lawnmower as a business; but if even the older lady across the street pays your husband to mow the lawn that is a business. This means that not only is the gas in the mower a business expense, but so is: the wear on the mower, the cost of gas in the car to go get gas for the mower, even the trash bags you put lawn clipping in could be a business expense. What kind of things could you be doing as a business? There are a lot of small needs out there. You dont have to quit your day job to be a business person all you need to do is look around for a need and then fill it. I think at one point in our life all of us have an idea for a business. Some of those ideas are not possible, not something you could ever do, or are based in something that is closer to science fiction then a business. However, some of our idea are brilliant! So why doesnt everyone have a business of their own? The biggest reason is a failure to plan. There is an old saying, ” If you fail to plan, you plan to fail”. Let’s face it though most of us dont have time to do a full scale investor, investor and banker driven business plan. But we still need a plan. This is where the One Page Business Plan (http://www.onepagebusinessplan.com/) comes in so handy. This allows you to look at what the business is about, what you need to make it work, and most importantly what are you goals and expectations for the business. Taking the time to go through the process allow us all to think through the elements that make up a business. We can quickly determine viability, as well practicality of our idea. But there is one more even more important element. The difference between being a business owner and just being a dreamer is that successful business owners DO, while employees are still busy WISHING! It is wonderful to dream and every idea we have wont be ” THE ONE” but if we commit to the process of being people of action we will find that the outcome of action is always RESULTS!